You design your wheel and we build it as a one of a kind "TRUE CUSTOM" steering wheel. You can supply the material for the half-wrap to match your interior. Your wheel will be a "TRUE CUSTOM" one of a kind. We Manufacture "TRUE CUSTOM" steering wheels for the SHOW CAR and STREET RODDERS. 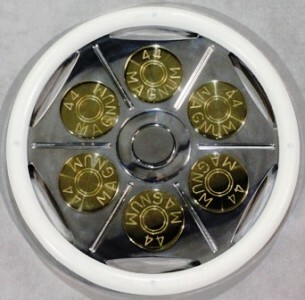 Please feel free to browse this web site to view just a few of our one of a kind "TRUE CUSTOM" Steering Wheels.